Get ready to delve deep into an unexplored underground realm packed with malignant monsters, terrifying traps, and treasures beyond imagination! Gather your party for Hearthstone’s newest Expansion: Kobolds & Catacombs! Explore the catacombs, survive deadly encounters, and unearth wondrous treasures! Dungeon Runs: FREE repeatable single-player experience where everything you need is provided! Dungeon Run is a new insanely fun, single-player “rogue-like” mode where you’ll face deadly encounters and collect incredible Treasures to build a deck worthy of a hero! 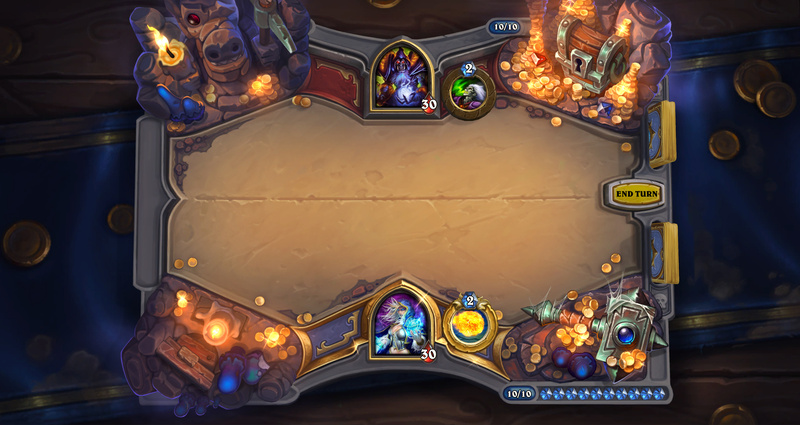 When your Dungeon Run starts, you’ll choose a Hero and receive a starting deck consisting of 10 cards. You’ll use it to overcome eight encounters of increasing difficulty (chosen randomly from a huge pool of 48 possible encounters!) to clear the run. That initial deck might be enough to help you squeak by your first opponent, but you’ll need to get stronger if you hope to clear the whole run. Each time you defeat a Dungeon Run encounter, you’ll be given an opportunity to “level up” your Dungeon Run deck with themed sets of three cards appropriate to your class. Occasionally, you’ll also be able to pick from a selection of three incredibly powerful Treasure cards—non-collectible cards and abilities made just for this mode that are too blatantly overpowered to see normal play. You’ll need all that power—as well as your wits—because these encounters can be fiendishly difficult. Victory is not assured, and each encounter has its own unique perils. If one of them gets the better of you, defeat is permanent, so you’ll have to start a different run with a whole new deck! 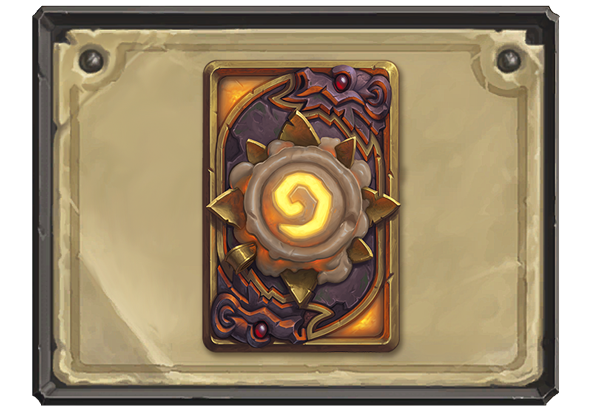 If you manage to complete a full Dungeon Run with each of the nine Classes—no mean feat!—you’ll add the Candle King card back to your collection. 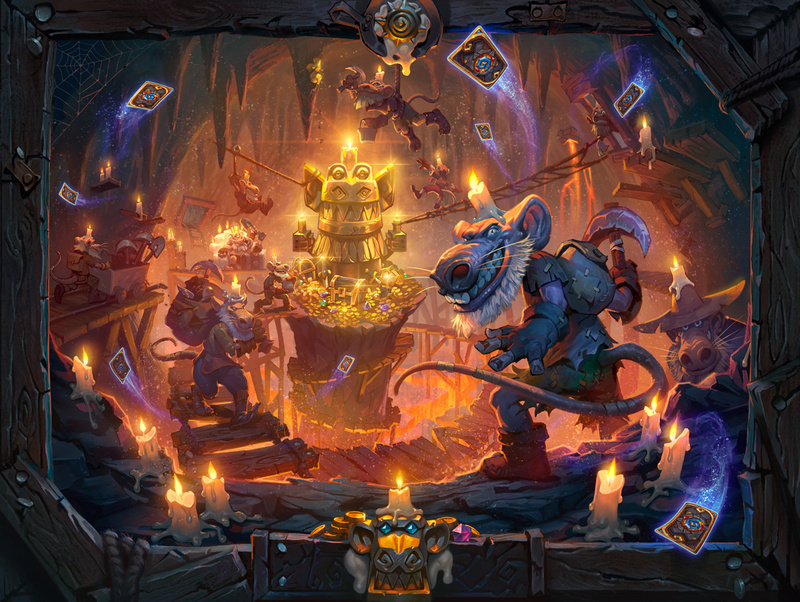 Kobolds & Catacombs brings the power of Legendary weapons to Hearthstone! 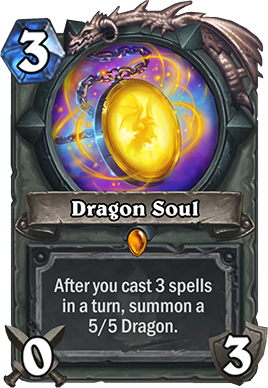 Dragon Soul is merely the first to be revealed—there are eight other magnificently potent artifacts for you to wield in the Catacombs, one for each of the nine classes in Hearthstone. Legendary adventure requires legendary adventurers, and Marin the Fox is an adventurer’s adventurer! This cunning rogue knows the ins and outs of every dungeon, and he’s delving deep into the Catacombs in search of a storied chest brimming with ridiculously powerful magical items. You’ll need his expertise if you hope to survive your adventure through the catacombs. Fortune favors you, though, because EVERYONE can add Marin to their collection for FREE just by logging in, starting Monday, November 6 right up until Kobolds & Catacombs launches. BlizzCon attendees and Virtual Ticket holders will also get the golden version of Marin. Attending BlizzCon or getting the Virtual Ticket is the only way to get the golden version of Marin—he can’t be crafted or disenchanted. You’ll be able to add Marin to your decks and use him in games soon after Blizzcon*, before Kobolds & Catacombs is released! 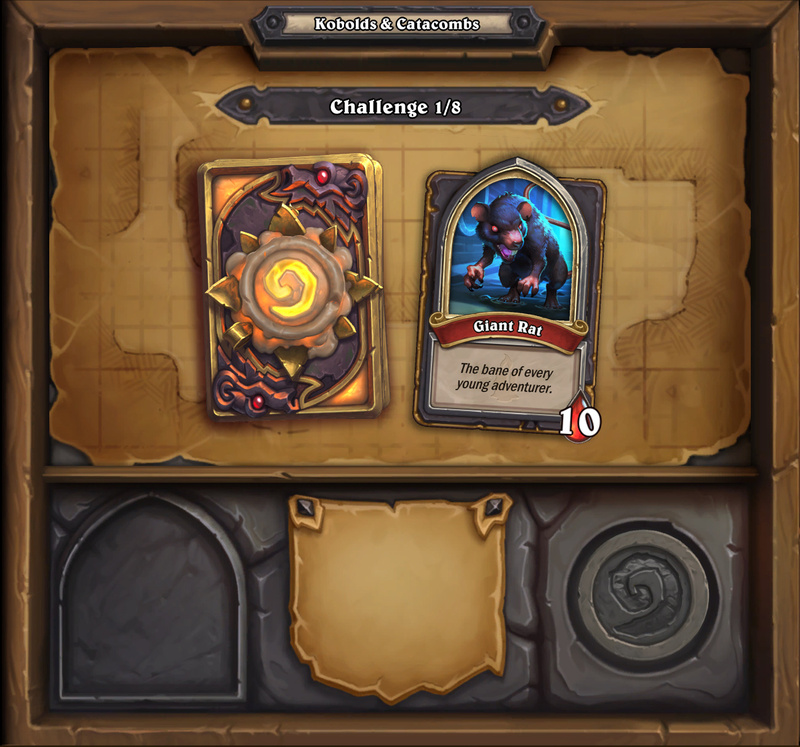 If you don’t manage to obtain Marin before Kobolds & Catacombs arrives, you’ll be granted a copy of his card the first time you acquire a Kobolds & Catacombs card pack after release. Now that you know how to get Marin, let’s pick the lock on that chest and see what it might contain, shall we? Treasure is the glittering heart of Kobolds & Catacombs, but to truly capture the fantasy of delving into dungeons, you need Adventurers to go after the shiny stuff! 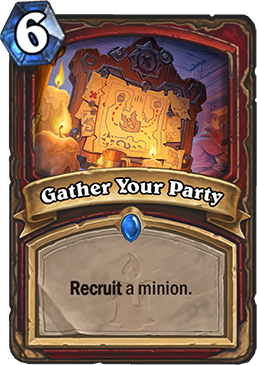 Gather your party with a new keyword: Recruit. Recruit summons a random minion from your deck, and it shows up only on cards associated with the adventurer characters in Kobolds & Catacombs. Recruit introduces some interesting deckbuilding decisions, and because it sometimes comes with key limitations, such as mana cost, you’ll need to make careful choices about how many minions—and which ones—you include in your deck. Kobolds are key figures in Kobolds & Catacombs; after all, they were the ones who dug all these miles of tunnels and chambers with their endless excavations. Despite living nearly their whole lives underground, kobolds don’t like the dark. They all wear a lit candle on their heads, and while they might jealously defend the piles of gold, jewels, and magical artifacts that can be found in their domain, every kobold’s most treasured possession is that bit of wax and wick. If you venture into the catacombs, remember the refrain: You no take candle! This is merely a small glimpse of Kobolds & Catacombs to whet your appetite for what is to come when it arrives in December. There is much more to discover as we delve deeper in the “Hearthstone ­- What’s Next” panel. 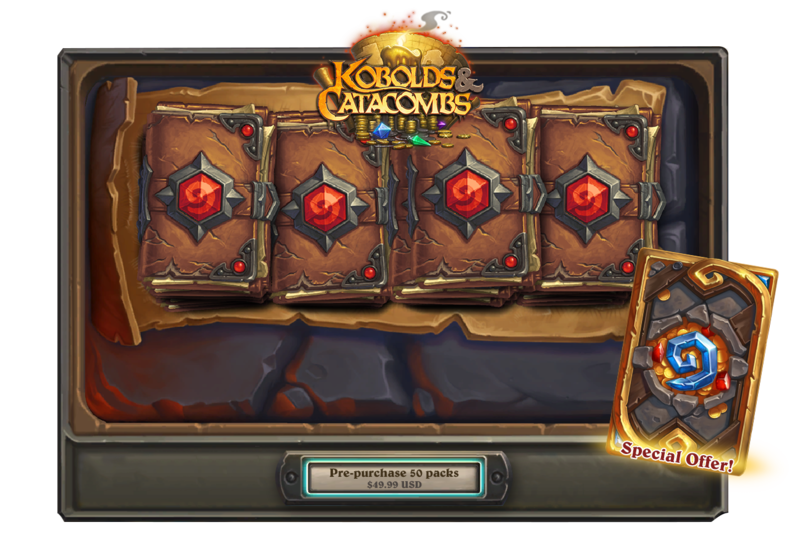 Prepare for your own treasure hunt in Kobolds & Catacombs. Follow us on Twitter for the latest dungeon discoveries. Visit KoboldsAndCatacombs.com and Facebook for a gallery of cards revealed thus far. 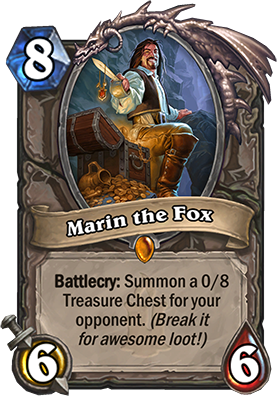 *Marin the Fox and the For the Hoard card back will be available for use when Hearthstone update 9.4 arrives.